Sometimes old projects pop up again in fun ways. Somewhere near when I first moved to LA (2002? 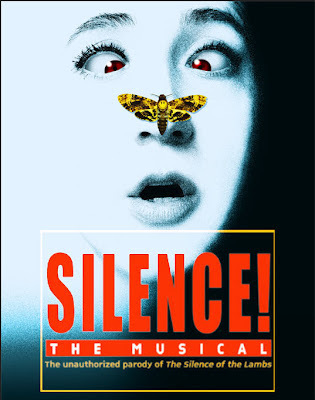 ), my friend Paul lent me a CD for a bizarre parody musical of Silence of the Lambs, entitled "Silence!" I listened to it and it was a lot of fun. And that was the last I heard of it for a while. But Los Angeles is a small town and projects will reappear in strange places. In 2008, six years later, I responded to an ad looking for a stop motion animator. It was the guys who had created Silence!, looking to move their project forward. They'd re-recorded the songs and wanted to get some cool visuals to go with it. Their idea was to make a Lego stop motion video recreation of a scene in Silence of the Lambs to accompany their original song, "Put the F---ing Lotion in the Basket". Here it is: Despite being flagged for containing curse words (something that would keep it from reaching an even larger potential audience), people really seemed to go for this musical parody of an Academy Award winning thriller remade as Lego animation. Lots of websites linked to it, and the video even got some airtime on G4's Attack of the Show. Four years later, I'm driving and I see a billboard. Silence! The Musical will have its Los Angeles premiere September 8th at the Hayworth Theatre. A few days later, I'm on my commute to work, listening to NPR and the creators, Jon and Al Kaplan are talking about the musical on Off Ramp. Congrats to Jon and Al Kaplan on their success with the musical! They've put in a lot of hard work over the years, and it really shows.